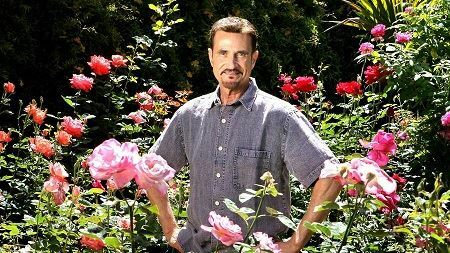 In the late 1990s, when John Bagnasco was chief rose buyer for Armstrong Garden Centers, a colleague chided him for not growing any roses in his home garden. “I thought, ‘he’s right’ and decided to give them a try,” Bagnasco says. Today, more than 1,000 roses thrive on the half-acre garden around Bagnasco’s Fallbrook home. But this collection is different; the majority of the roses are rare and in danger of disappearing. Some are the last of their kind anywhere. “It’s one of my obsessions now — preserving rose genetics,” said the veteran horticulturist who is co-host and president of the nationally syndicated “GardenLife Radio Show” that reaches more than a million listeners every weekend. About the Speaker: John Bagnasco has been in the gardening industry for over 50 years, starting with a horticulture degree from Michigan State University and followed by a stint at Frank’s Nursery and Crafts in Detroit. After publishing his first book “Plants for the Home Vol. I” in 1976, he moved to California to become regional manager and buyer for the Nurseryland division of Sunbelt Nursery Group. He then became the head buyer for Armstrong Garden Centers based in Glendora, California. John had a part-time affiliation with Creative Promotions for ten years before joining them full-time in October 2000 as a senior editor and radio personality for Garden Compass. John has also taught horticulture classes at Palomar College and San Diego State University. He is the host of the DVD “The Essential Guide to Roses,” which also features Bryan Main and Bruce and Sharon Asakawa. His most recent book is Planting Designs for Cacti and Succulents. Bob Martin, Vice President of the American Rose Society, will be staffing the plant forum table before the meeting to discuss roses and answer questions. We invite attendees to bring in cuttings from their early blooming roses for the display table. Doors open at 6 for social hour. Presentations start at 6:45.